Whether you’ve already got one, or you are thinking about buying a hot tub, the last thing you want is for something to go wrong. 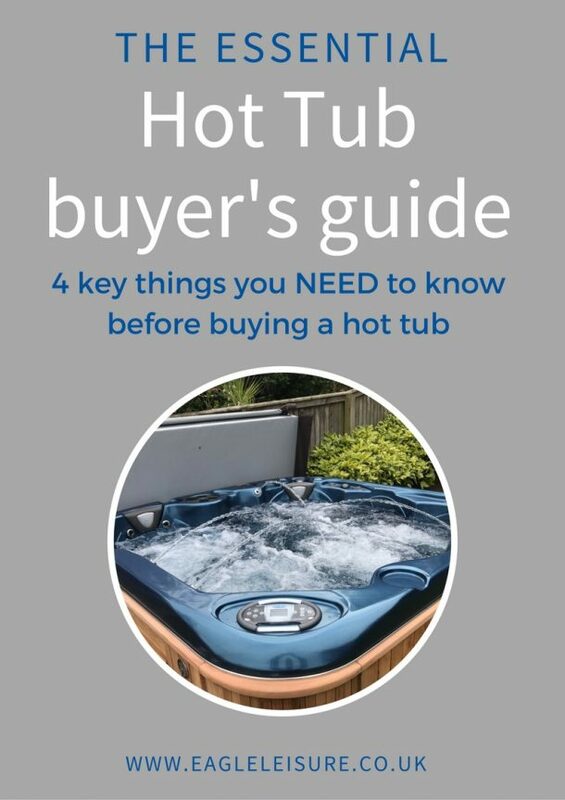 Buying a well built hot tub, from a supplier who offers great after sales support is the best way to avoid things going wrong. And undertaking regular hot tub maintenance can help you stay proactive and avoid problems. But still, things can go wrong. 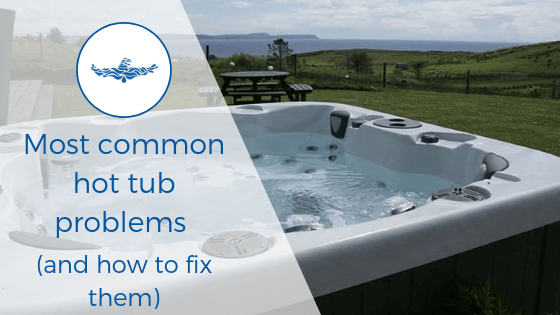 We look at the most common hot tub problems. How to avoid them. And most importantly, how to fix them. Hot tub error codes can seem confusing. But they help to indicate a problem. And each hot tub manufacturer usually has codes and associated fixes in their owners manual. Check out the following posts on error codes, to help understand what they mean and how to fix them. If you need to call a technician let them know the manufacturer of your hot tub and the error code showing to try and help them figure out what is wrong, and what might need replaced. You can test these both using test strips. They should both ideally be checked every time you use the hot tub. But realistically, you should be check them no less than every 7 days on a domestic hot tub. Many hot tub problems can be linked back to poor water maintenance, as lack of water care can clog the filter, make the water corrosive and damage hot tub components. If you heater isn’t working there are a few things that could be causing the issues. Of the hot tub error codes, one of the most common is FL/LF. Which, usually indicated a flow problem. This means that not enough water is passing through the heater and as a safety measure the heater will usually cut out or it will heat up very slowly. There are a few things to check if this error message is showing to increase the flow. If there is not a flow error, but your hot tub is still not heating then your hot tub heater element may be faulty. If this is the case then you will likely need to replace the heater element. Hot tubs usually have one or two pumps. Some of them have more. These pumps operate the jets. So if there is a problem with them then it’s likely the jets won’t work. And in some cases, if the flow is reduced, then the heater will cut out. Check the pump for general wear and tear that might mean it needs replaced or repaired. Leaks around the pump will cause the pump to draw air instead of water and may lead to burning out the pump, or cutting our the heater. If your pump is making a screaming noise, you likely have a problem with the bearings. You can continue to use the pump, but it will only get worse. You may be able to lubricate them. But you will likely have to replace the pump at some time. Water is a tricky little thing. It can slip out of anywhere, making leaks particularly hard to find. If your hot tub is losing water, let it drop until it stops leaking. One the water has stopped, you will have an idea of roughly where the leak is coming from. Then, fill it back up to just above this. Let the water leak out and look for where the water is coming from. As long as it’s not your shell leaking you will be able to replace or repair the part that is leaking. Sometimes your hot tub will trip the main breaker. To fix these you need to work with electricity. So we strongly recommend, that unless you are a qualified electrician that you seek help. The easiest way to figure out what is tripping the breaker is to unplug everything in the hot tub. The pumps, heaters, ozone etc. Then turn the breaker back on without anything in. If it trips, you have a faulty breaker. If not, something is faulty on the hot tub. Reconnect each item one at a time. Then turn on the breaker and the hot tub. If the breaker trips, the item you have just wired in is faulty. Eventually age and general wear and tear will take its toll on your hot tub. No matter how good the hot tub quality is. 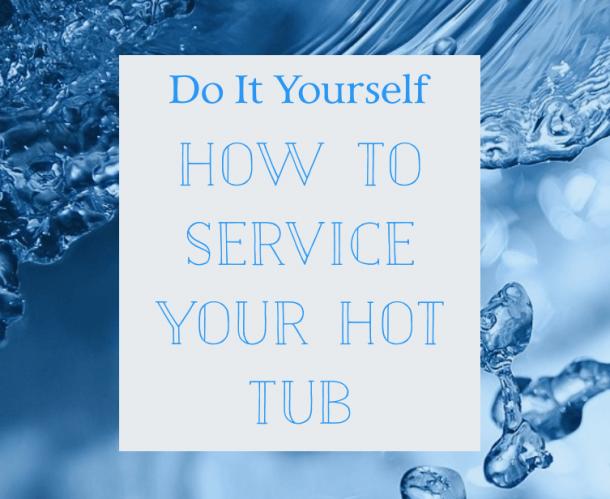 But best way to prevent issues with your hot tub is to have a regular service pattern. Regular servicing and pre-emptive maintenance will keep your hot tub in optimum condition and save you money in the long run. We recommend at the very least, you get your hot tub professionally serviced every year. And carry out your own quarterly service. Download the guide below to help you with your quarterly service. But if you want to keep it in perfect condition, we would recommend signing up for our Hot Tub MOT club, for a regular quarterly service + added member benefits. Things can go wrong with your hot tub. But maintaining good water balance and carrying out regular services can help to ensure that as little as possible goes wrong. And it can catch any small problems before they turn into big ones. If you don’t want to do quarterly servicing yourself sign up for our Hot Tub MOT club and get the most from your hot tub without the hassle. How often should I empty my hot tub water?